On Sunday, Carrie Lam was selected to become the next Chief Executive of Hong Kong, after receiving 67% of the votes of a 1,194-member committee dominated by political and business leaders aligned with Beijing. Lam, the former number two official in Hong Kong, was backed by Beijing, although her main competitor, John Tsang, had stronger public support. Lam, 59, now must navigate between a central government that desires more control and a populace that demands greater freedoms. Rival demonstrators chanted Sunday in damp, drizzly weather near the harbor-side convention center where ballot boxes replaced the previous day’s art show. Lam’s supporters raised Chinese flags and cheered when they heard the vote’s results. Another contingent waved signs that read “scam election” and screamed for universal suffrage. “We have a qualified electorate of millions, but I don’t have a vote, and most other people don’t have a vote,” said Anson Chan, who once served as Hong Kong’s top civil servant. Though a Chinese official said Sunday that Lam “had the support” of Hong Kong’s people, her victory over a popular opponent will almost certainly deepen fear about Beijing’s tightening grip on the Chinese special administrative region and compound frustration that the fight for universal suffrage has stalled. “Hong Kong, our home, is suffering from quite a serious divisiveness and has accumulated a lot of frustration,” she said. To achieve that, Lam said, she would choose talent on merit rather than political affiliation, and form a platform to maintain regular communication with all parties in the legislature. HK Police starts to arrest activists of the Umbrella Movement in 2014 THE NEXT DAY Carrie Lam were selected as the Chief Executive. Tommy Cheung Sau-yin, a former core member of the Hong Kong Federation of Students (HKFS), confirmed to HKFP that he will be charged. The three conveners of the protests – Professors Benny Tai and Chan Kin-man, and reverend Chu Yiu-ming – have also received calls. “What message is this government sending to society after the chief executive election?” Chan Kin-man said. Democratic Party former lawmaker Lee Wing-tat. Former HKFS Standing Committee member Eason Chung Yiu-wah. Raphael Wong Ho-ming, vice chairman of the League of Social Democrats. Lam, who was seen as Beijing’s favourite in the election, had pledged unity for a divided city when she gave her victory speech on Sunday. 777 electors chose Lam to replace the embattled incumbent leader Leung Chun-ying. She denied she knew of the police action, when she was asked if she was being “pranked” by the government’s action. “Prosecution actions are undertaken independently by the Department of Justice under the Basic Law. I made it very clear that I want to unite society and bridge the divide that has been causing us concerns. But all these actions should not compromise the rule of law in Hong Kong and also the independent prosecution process that I have just mentioned,” she said, when speaking to the press after meeting the Legislative Council President. Lam will be sworn in on July 1, the 20th anniversary of Hong Kong’s handover to China, when Xi Jinping is expected to visit the city to mark the occasion. 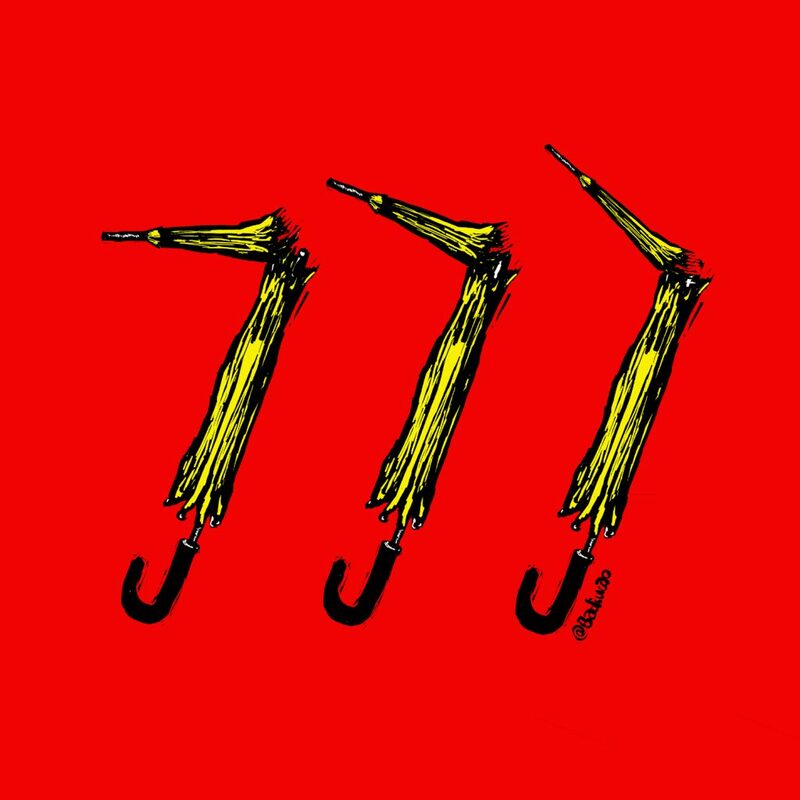 CDT is now selling t-shirts and iPad covers featuring Badiucao’s work in our Zazzle store. See also a Q&A with Badiucao in which he discusses his artistic and personal influences, and his earlier cartoons for CDT.